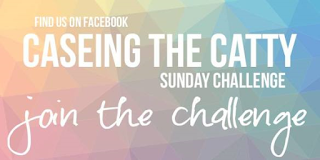 Hello & Welcome to our fun Sunday night Blog Hop & Challenge. Today we are CASEing pages 28-35 in the Occasions Catalogue. This section is the Tutti Fruity section but covers lots of other products too. 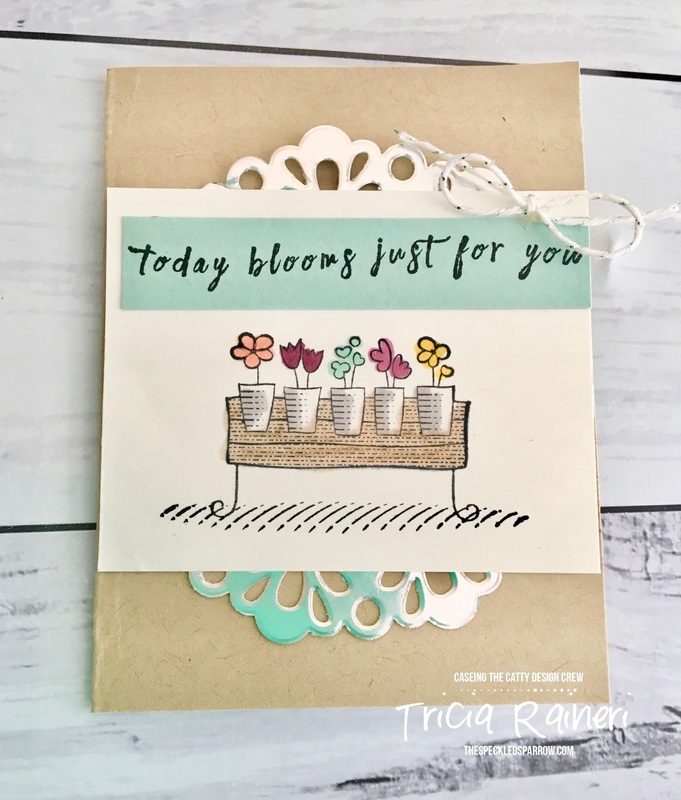 I have chosen to case the Friendship's Sweetest Thoughts cards on page34. I haven't joined in the hop in such a long time so I thought it was high time to get my fingers inky & join the fun. As you can see I CASED all 3 of these cards because I couldn't decide which one I wanted to create! 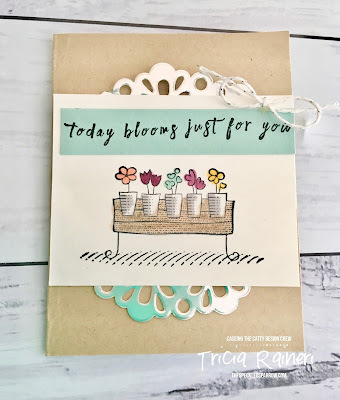 My 1st card I used the pretty flower cart stamp. 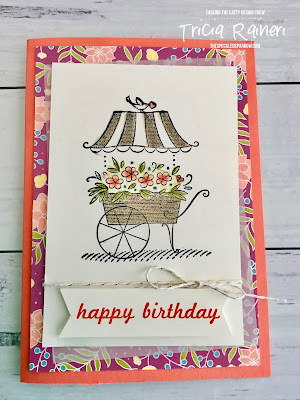 I changed the sentiment to Happy Birthday (from We Must Celebrate stamp set) as I needed a quick birthday card this week. I also used the Berry Burst Sweet Soiree DSP, because I just love it so much! 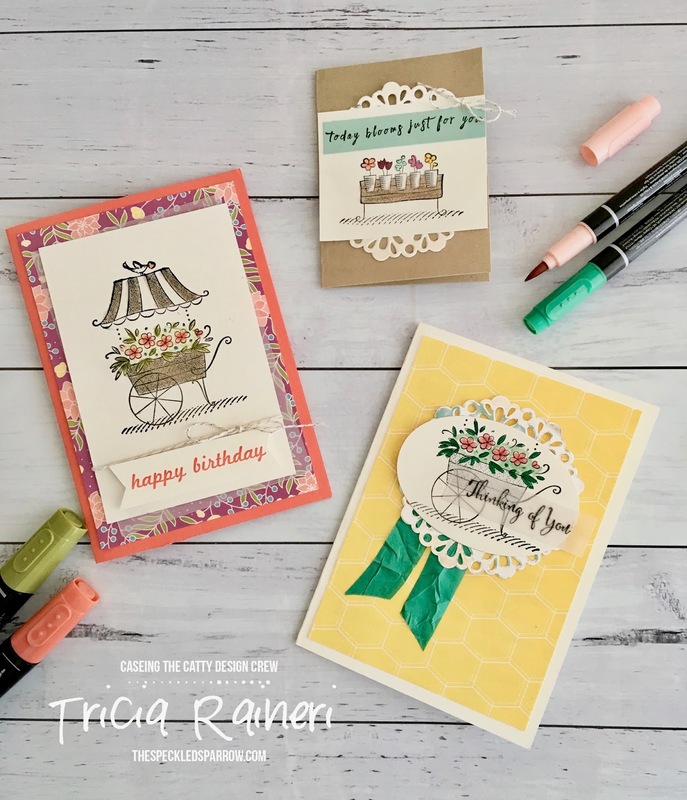 I used Stampin' Blends to colour the cart image. These are perfect for creating pretty images like the cart in this stamp set. My second card is similar to the yellow striped gift bag at the bottom. I chose to use the Daffodil Delight honeycomb patterend DSP from the FREE Sale-A-Bration Bubbles & Fizz DSP instead of a bag. I've used an oval instead of a circle & added a silver doily instead of the clip. 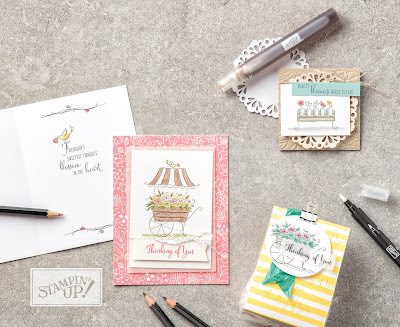 I used Stampin' Write markers in Emerald Envy & Flirty Flamingo with Momento black ink for the vellum piece. I did use the Emeral Envy Crinkled Seam Binding ribbon, but moved it to the bottom of the oval instead. My third card is based on the top right card in the picture which I believe is a little gift card. I have made mine into a small notecard & stayed pretty close to the card in the picture. 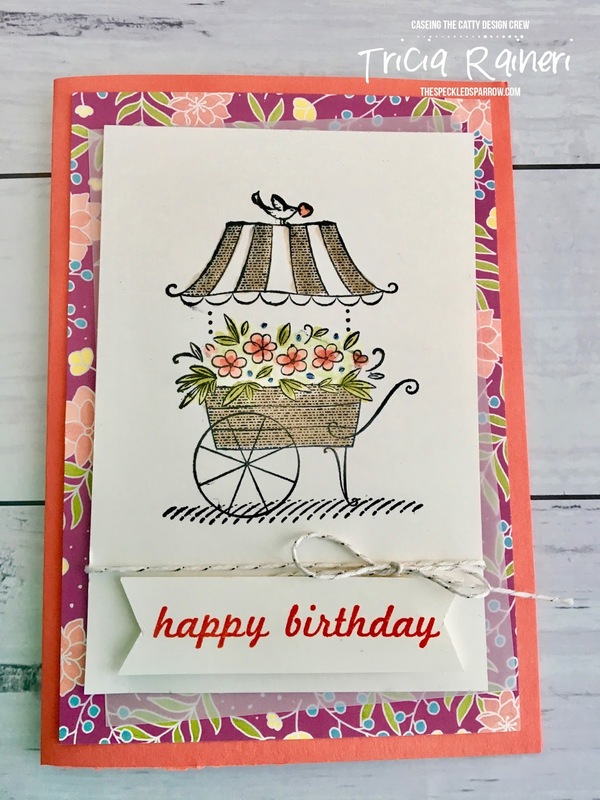 I didnt emboss the Crumb Cake card base, but I did use the doily & Pool Party banner like the image above with the sentiment from the Perennial Birthday kit. I used Stampin' Blends to colour the flower pots & the pretty silver bakers twine from the Sweet Soiree section of the Occasions catalogue. Thanks so much for stopping by and enjoy the hop! Next up is Sandra. 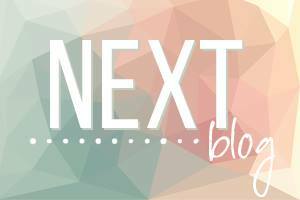 I wonder what she has created for us today, just click on the Next blog button below.